Welcome to MidiPads, the professional and fully configurable drum pad and Midi controller for Network MIDI, virtual MIDI and hardware MIDI interfaces. 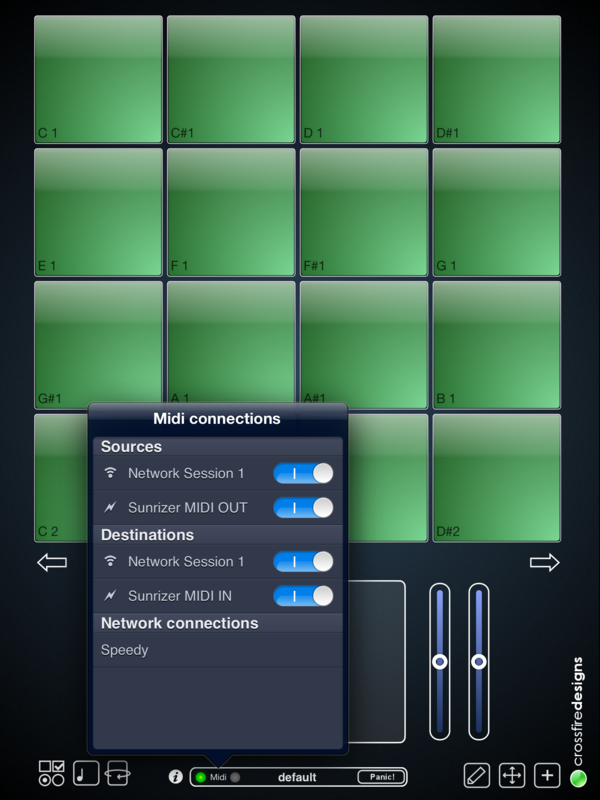 With Network MIDI, you can take your iPad on stage and trigger your sounds wirelessly! Unfortunately, Midipads has been interrupted by other projects up to a point where further development would simply mean to write a new Midipads up from scratch. For this reason, Midipads has been discontinued. If you have new ideas or suggestions, you can still use the contact form on the support page! 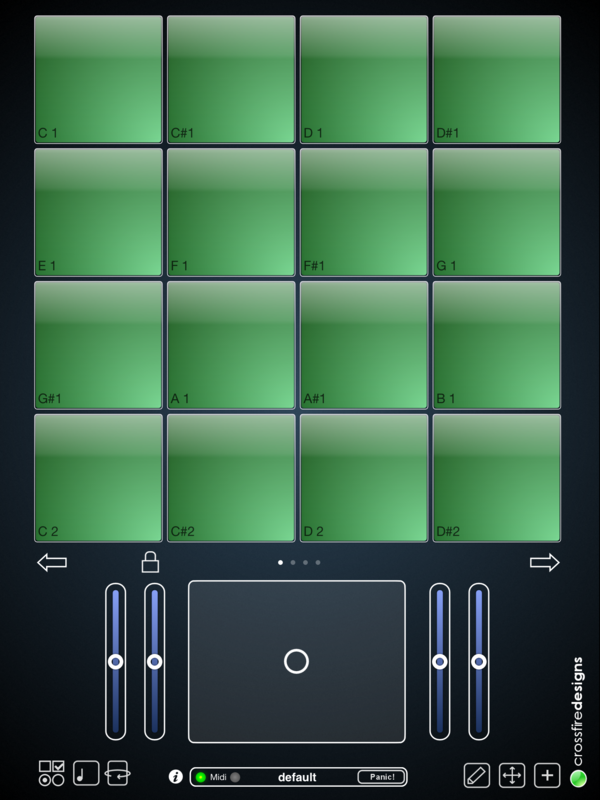 MidiPads is a drum pad controller. But a fully customizable drum pad controller. Adjust what your drum pads do, attach several senders to each element, work with multiple MIDI channels. MidiPads can change the pad sizes, the pad area and supports elements like buttons, faders and X/Y controllers. All controllers support MIDI-in and display incoming MIDI states! 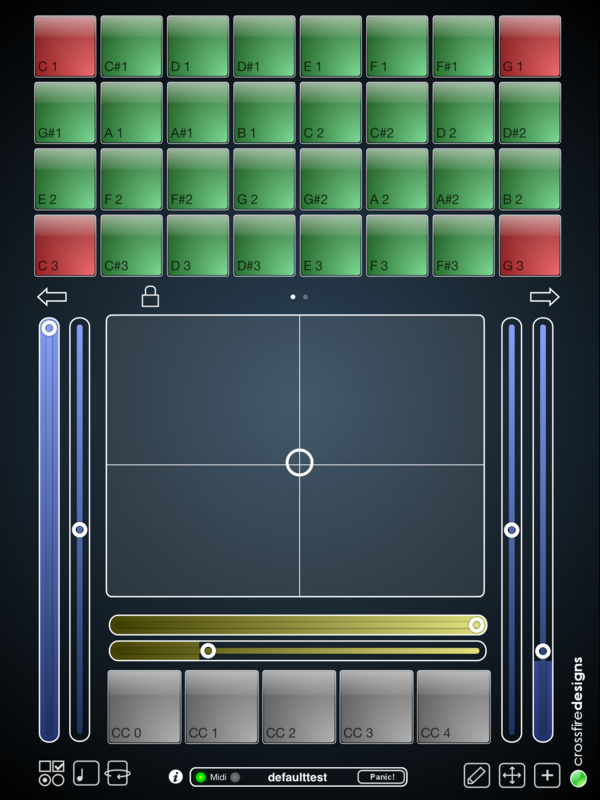 MidiPads supports connection over Network MIDI, virtual MIDI (connects to other apps on the same device) and over hardware interfaces like USB MIDI adapters with the camera connection kit and every CoreMIDI compatible device like iRig Midi.